Black mold is one of the more serious concerns your home may experience. It’s unsightly, and it can pose a real health risk to people, especially those with allergies. Not all black mold is toxic, but even the non-toxic type can seriously affect the roof and the rest of your home. 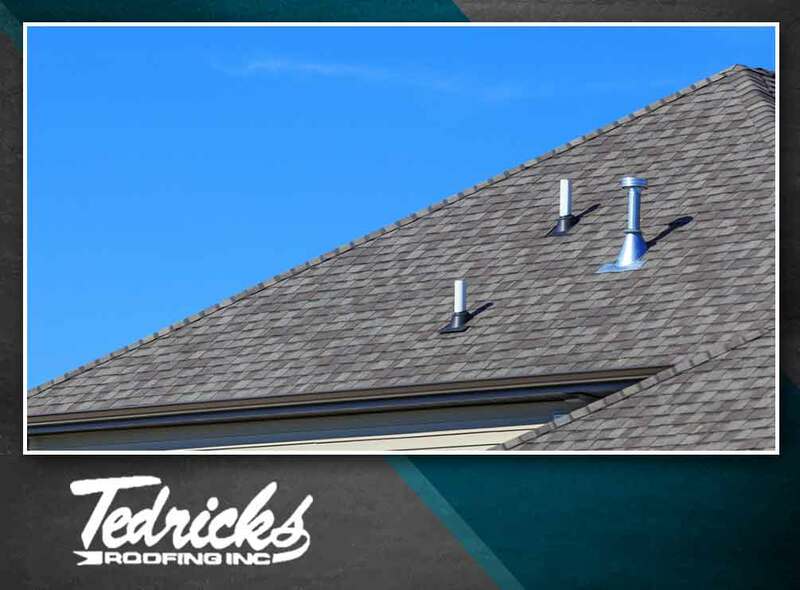 In this post, Tedrick’s Roofing discusses how black mold forms on your roofing system and attic, and what you can do about it. Black mold is actually the long-term consequence of leaks and moisture damage on the roof. It will often appear on the ceiling of the attic or on the wooden portions of the roof, such as the decking and the frame. Since the mold follows the trail of the roof leak, it can easily spread throughout the structure of your house, invading the interior through the vents. Mold may then end up on the carpets, furniture and even clothing. Both toxic and non-toxic black mold can make your roof structure look bad. In some cases, mold may damage wood, causing it to rot prematurely. Even when black mold doesn’t outright damage the roof, it may affect your property’s value just by being visible. Black mold and mildew can cause serious health concerns, specifically for people with high nasal sensitivity or asthma. The fact that mold proliferates rather rapidly and can end up pretty much anywhere through their spores can lower your home’s comfort levels and air quality significantly. The best way to address black mold infestation is by preventing it from happening in the first place. You can do this through preventive roof repair, addressing leaks when these are still small and easier to handle. By patching up leaks before they start to grow, you prevent patches of moisture from appearing on the roof and attic, where mold can develop. As your local roofing contractor, you can count on Tedrick’s Roofing, Inc., to address your black mold problems and prevent them from appearing again. You may reach us at (877) 212-9355 and (253) 499-9660 to learn more about our services. We offer complete roofing services throughout Auburn, WA.